Which e-cig is right for me? This is the one question that we are most often asked by new customers visiting the Vapable.com shop. 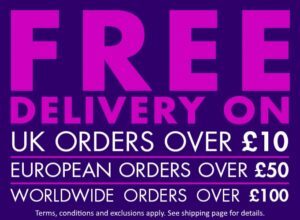 There are so many starter kits available that a newcomer to vaping can easily feel overwhelmed and confused by the wide variety of choices on offer, but in fact the real question is “what is the best e-cig kit for YOU?” While choosing your first e-cig kit might not be easy, it’s definitely worthwhile spending some time thinking about what sort of kit will actually meet your needs before you commit to buying one. So where do you start? How do you make sure you find the right e-cig starter kit for your needs? 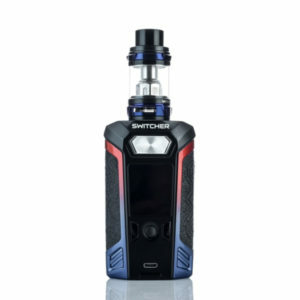 In this guide, I have made a few suggestions, based on the type of smoker you are now and the way you see yourself vaping in future as you make the switch away from cigarettes. One of the big reasons to switch to vaping is the fact that you will almost certainly save a lot of money compared to smoking, but the start-up costs might seem high at first and could even put you off trying. It’s worth remembering that the running costs of vaping are very low once you have made that initial investment in your kit- just look at our vaping vs smoking price comparison guide to see how much you could save. If you smoke one pack of 20 cigarettes a day, the £70 that you’d spend on one week’s smoking could easily be more than enough to get you set up with a good quality e-cig starter kit, so setting yourself a realistic budget is important; you will need to consider how much money you currently spend on smoking and compare that to the cost of a starter kit. If you are absolutely certain that you are going to make the switch to vaping, then spending a week’s cigarette money on a vaping kit is reasonable, but what if you’re not sure if vaping is going to be right for you? You might not be too keen on spending so much if you’re not sure if it will work for you, so my advice here would be to ask a friend or a member of your family who vapes if you can have a go on their e-cig- this will give you an idea of what vaping is like before you commit yourself to buying your own kit. Once you have made the decision to buy a starter kit, your main consideration should be to get the best kit for your own particular needs- don’t worry too much about how much it costs you at first- if it successfully helps to get you off cigarettes, then it will be worth it- you will end up saving much more than just money. Once they have decided to make the switch to vaping, many people just want an e-cig that works for them straight away with the minimum of fuss- you might not be interested in learning about all of the bells and whistles that some more advanced devices offer and there is a lot to be said for this attitude; when you’re just quitting smoking, you might not want to be learning how to operate a complicated device- you just want something that works, where you just press the fire button and vape. So if you want to keep things simple, a basic starter kit comprising a battery paired with a refillable tank is going to be your best choice. Over recent years these basic tank systems have improved a lot and many people who have used them to successfully quit smoking actually carry on using them on a long-term basis, simply because they are so easy to use- you just need to remember to charge your battery, keep your tank topped up with e-liquid and when your coil has passed its prime, you just unscrew it and replace it with a fresh one. Mod systems are usually bigger, more complicated devices which will usually have LED display screens and more buttons in order to adjust the wattage or maximum temperature settings. Mods are more complicated for a beginner to learn, but in practice you actually use these in a very similar way to basic tank systems- you just need to choose your settings and then vape in the same way as you would with a more basic tank system. Mods give you several benefits over basic tank systems; they are more powerful and enable you to adjust your settings precisely to the way you like them. Yes, they are more complicated for a beginner to learn, but just like getting used to a new smartphone, it doesn’t take too long to get used to navigating the system and learning what everything means. If you want to keep things simple, it’s probably best to avoid mods altogether and go for a basic tank system, however using a mod on a day-to-day basis doesn’t really need to be too complicated and will offer you a few more advantages over a basic kit. 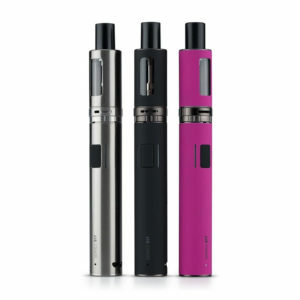 We will now take a brief look at three different starter kits that are suitable for beginners to vaping and go through the pros and cons of each one so that you can compare ease of use, performance, design and build quality as well as lifestyle factors such as how much you currently smoke and also their appearance- which is a very important consideration for some people! Good for both light and heavy smokers. Very simple to use and maintain- just fill the tank and vape. Easy to fill the tank and replace the coils. Gives a realistic drag- just like smoking a cigarette. Great flavour and vapour production. Ability to swap coils so you can try more powerful sub- ohm vaping without buying new kit. The 900 mAh battery capacity might not be large enough to last a full day without recharging (maybe consider the JAC Vapour S-22 Kit with its larger 2600 mAh battery instead). Small 1.8 ml tank needs refilling throughout the day. Good for medium to heavy smokers. Ergonomic design- great to hold and operate with side bar fire button. Excellent flavour and vapour production. Powerful mod will fire up to 85W- capable of making dense clouds. TF8 Baby tank is easy to fill and replace the coils. Fairly compact- will easily fit into a coat pocket or handbag. Well built and rugged design. LED screen with easy to use menu system. Ability to adjust and customise all settings- power, temperature, vape strength etc. Good battery life and will also take spare batteries. Menu and adjustments may seem complicated at first for a beginner. Awkward to turn off without removing the battery. Futuristic design- great to hold and operate. Ability to switch the case. Powerful mod will fire up to 220W- capable of making huge clouds. Vaporesso NRG tank is easy to fill and replace the coils. Extremely well built- a very solid and rugged design. Beautiful LED screen with easy to use menu system. Excellent battery life and will also take spare batteries. Flashing LED lights make the mod fun to use. Menu and adjustments may seem complicated at first for a new user. Price may make it too expensive for a beginner. Transformer-like design may put some people off. Very heavy and bulky (weighs a ton) so not good if you want to vape discreetly.